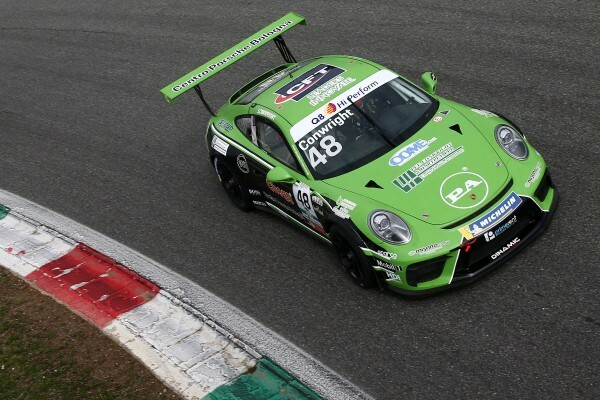 Jaden Conwright belied his complete lack of prior experience in the Porsche Carrera Cup Italia to tally a brace of podium finishes and fastest lap on a head-turning debut at Monza, as the fast-rising American motor racing star set out his stall as a championship contender from day one. Having traded single-seaters for sportscars this season – following a race-winning campaign in the inaugural F3 Asian Championship certified by FIA in 2018 – Conwright headed to legendary Italian Grand Prix venue Monza with limited pre-season testing under his belt, but with a steely determination to make his mark. Familiar with the circuit from his stint in Italian F4 three years ago, the talented Californian teenager was immediately on the front-running pace in the fiercely-disputed single-make series behind the wheel of his 485bhp Porsche 911 GT3 Cup race car. Missing out on pole position by barely 0.03s around an almost two-minute lap, he lined up second on the grid amongst the 23 high-calibre protagonists – impressively leading the six-strong Dinamic Motorsport charge in his first-ever qualifying session in GT machinery. Despite conceding a position at lights-out in race one, Conwright quickly recovered it as he made light work of pole-sitter and former champion Enrico Fulgenzi, after which he maintained the pressure on race-leading team-mate Diego Bertonelli throughout as the pair pulled clear of the chasing pack. Flashing past the chequered flag less than two-thirds-of-a-second behind his more experienced rival, it was a quite astonishing performance. Race two was similarly intense – a spectacular, on-the-limit, no-holds-barred scrap with no quarter asked and absolutely none given. From fifth on the partially-reversed grid, the Fremont, San Francisco Bay Area-born ace was the architect of a particularly feisty opening lap, producing several bold moves to advance to third. As the leading trio increasingly broke clear – the three cars rarely blanketed by much more than half-a-second – Conwright went on the attack, pulling off a superb round-the-outside overtake on GP3 Series points-scorer Patrick Kujala going onto the last lap. A small error saw the 19-year-old Williams-Harfield Sports Group protégé slip back behind Kujala several corners later, but he regained second place when the winner was subsequently disqualified for failing post-race scrutineering, ultimately coming within a scant 0.133s of victory on his maiden weekend in the series. Conwright further proved his pace by posting the race’s fastest lap – at an eye-watering average speed of almost 190km/h – and he will travel to the next round at Misano on 17-19 May sitting a close second in the title standings and well-placed indeed amongst the Porsche Italia Scholarship Programme candidates. “Going into the weekend, we were unsure what to expect in terms of race pace,” reflected the former World Speed Motorsports Rising Star / VMB Scholarship Award-winner and Carlin Academy member. “We knew we had good single-lap speed from pre-season testing, but testing and racing are two very different things. My expectations were definitely high, coming off the back of a successful official test at Imola, but with the level of competition in the championship as strong as it’s ever been, I knew that any slight mis-step would heavily hinder our results. “Thankfully, I have an amazing team behind me – the engineers, mechanics and drivers at Dinamic Motorsport work together very well and things run very smoothly and efficiently – and free practice proved that we had a quick car underneath us. To then lap just three hundredths-of-a-second shy of pole on my GT racing debut was very satisfying, and whilst that inevitably ramped up the pressure for the races, at the same time, being on the front row provided an open track, which allowed me to learn and adapt to the car more easily during the first one. “With some driving adjustments – and the experience gained in race one – I modified my approach for race two and was able to fight for the win against seasoned GT drivers. We came up a bit short due to a mistake of my own, but setting fastest lap shows we’re not far away from being on the top step of the podium. 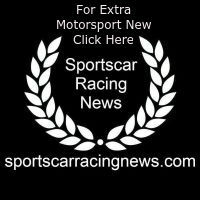 “My goal for the weekend was to match my team-mate Diego [Bertonelli], as he is one of the championship favourites and a great reference point, and while I am obviously delighted to come away with two second-place finishes – bringing home silverware is always a pleasure – there’s definitely room for improvement.